Just thought I should give you a heads up. You’ll love the consumer device even without keyboard. Nokia is using a patented, new technology, not seen in any other device in the market. Now there’s already been some speculation that Nokia were doing something new interface wise with MeeGo. Back in December there was of course Marko Ahtisaari speaking about new ways that you can interact without keeping your head trapped onto the screen. The MeeGo teaser was all about gestures. Nokia Conversations started talking about Nokia Innovations again talking about gestures. Rumours re-emerged that Nokia might be doing something again with touchless gestures (they applied for a patent for that back in 2008). It does not require a glass overlay. This translates to better light transmission and subsequently better display quality. It does not require any force. With a resistive display, you need to press the surface with some amount of force before any feedback is received. It supports interactions using a finger, a stylus, or even a gloved hand. Most capacitive touch screens cannot function when you use a stylus or a gloved hand. 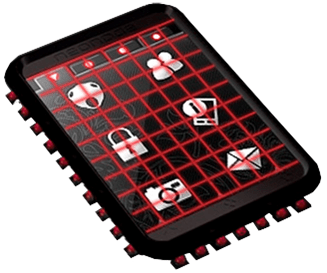 Since it leaves the e-ink display as is, all the benefits associated with an e-ink display is retained. The RM-680 is the keyboarded Nokia N9/N950. It passed FCC a few weeks ago. The RM-696 is the rumoured keyboardless N9, lankku. What is the RM-690 and RM-716? I see they’ve been discussed many months ago already in our comments, but still no clue as to what they are except that they are Maemo/MeeGo related. Update: Back to the touch screen thing – I can’t believe I forgot this as this was the reason I wanted to write about this story. As Al Pavangkanan points out, what if it’s Nokia’s Haptikos feedback technology? This makes the most sense out of all the possible new technologies since this DOES allow people to bring their heads back up (whereas the other two air touch and zForce don’t). 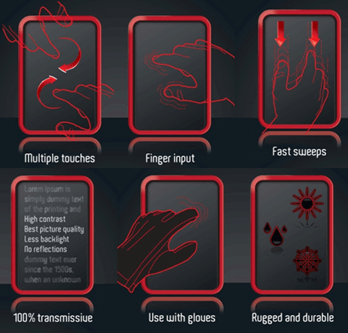 Haptikos basically gives your touch screen real button like feel. One of the pros of physical QWERTY/Keypads is the ability to type without looking at the screen. Your fingers will remember where keys are based on relative position of other keys – something you can’t really easily do on FLAT touch screens. Not just “vibrations” which is haptic feedback. But a realistic sensation of having pressed a real button (not too unlike electrotactile feedback). I’m not sure how fine that could be, but if it could mimic dots, it might even allow for Braille. That’s something Nokia tried to tackle before. « Video: Windows Phone Mango Demoes.